Our bodies are made up of around 20 percent protein, an essential part of nearly all biological processes. The building blocks of protein are amino acids. Amino acids play an important role in muscles and tissue as they aid cell structure, transport nutrients around the body and influence organ function. One amino acid found naturally within the body is glutamine. So, what is glutamine used for and what are the benefits of supplementation? Here is an extensive guide to this essential amino acid. Glutamine is the most commonly found amino acid within the body. It may also be known as L-Glutamine. 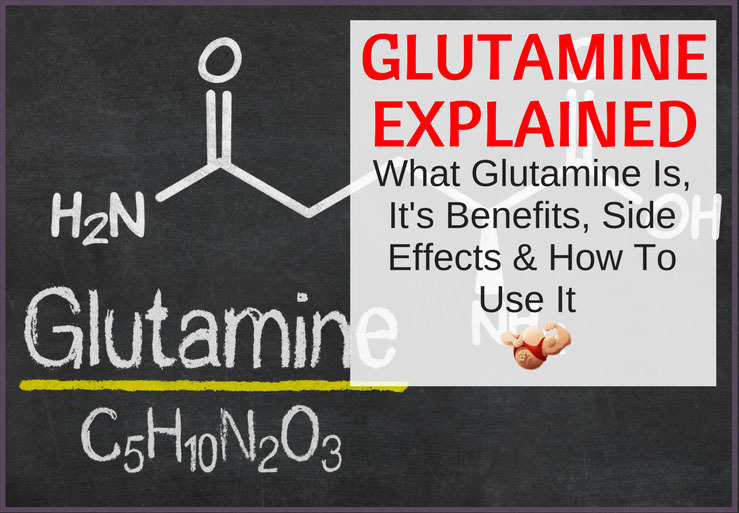 It is mostly synthesized in the muscles and those in good health have no problem producing glutamine to retain the appropriate amount of glutamine blood concentration. While technically, it is a non-essential amino acid, its conditionally essential when the body is under strain, such as during a period of illness or stress. Furthermore, those who are participating in prolonged exercise may require extra quantities of this amino acid. As glutamine is one of 20 naturally occurring proteins found in dietary protein, with especially high levels present in meat and eggs, vegans and vegetarians may benefit from supplementation. Glutamine has a variety of uses. It is effective in healing wounds and burns as it aids the production of fibroblasts. Furthermore, patients are often administered glutamine via an IV drip to help reduce infection to shorten their hospital stay. Surgery, wounds and injury result in an increased uptake of glutamine in the body, thus, the body needs extra sources. For example, when a tissue injury occurs, glutamine is the major amino acid lost, suggesting it has a major role in the healing process. Glutamine is an important part of the body’s immune process. It is often used to counter the side effects of some medical treatments, including diarrhoea associated with chemotherapy, muscle pain caused by Taxol; a cancer drug, protection of the immune system in those being treated by radio chemotherapy for oesophagus cancer, and for aiding recovery after a bone marrow transplant. Furthermore, glutamine is sometimes used to prevent weight loss in HIV patients, as well as being used for ADHD (attention deficit-hyperactivity disorder), and sickle cell anaemia. Glutamine supplementation is popular for muscle growth and aiding muscle recovery after strenuous exercise. Blood glutamine levels try to stay stable due to it transporting ammonia around the body. For patients undergoing surgery or a serious injury, glutamine is required in order to supply nitrogen. Around a third of nitrogen comes from glutamine and it is needed for wound repair and to maintain functioning of vital organs. It is also required for the manufacture of certain chemicals in the body, such as glucose. Supplementation for those who partake in energetic exercise is necessary due to glutamine levels dropping. Intracellular levels can fall more than 50 percent during stress put on the body.1 Intracellular muscle glutamine concentration is disturbed by varying aspects, including starvation, injury and stress. Post workout, nutrients are at a lower levels, so glutamine is required. Research has demonstrated that glutamine levels can take up to a month to return to baseline levels.2 Therefore, gaining an increased intake from food or supplements is the best way to boost your level of glutamine in the body. A 2015 study revealed that consuming glutamine reduced muscle soreness, while a different study found that glutamine supplementation improved immune function during heavy load training. Glutamine has a variety of benefits for your health. 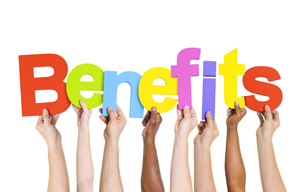 One significant benefit is for improving a leaky gut. A 1993 study on glutamine revealed that the function of the gut is maintained by this amino acid. Glutamine helps to boost gut health as the cells in the lining are able to directly absorb it to maintain a healthy environment. Glutamine improves the guts ability to function at optimum level and eliminate any toxins. If you suffer from a leaky gut, toxins, large particles and pathogens are able to enter the bloodstream. Glutamine has been linked to healing a range of digestive concerns, including irritable bowel syndrome, crohns diseases and other factors stemming from a leaky gut, such as weight concerns and skin issues. Another benefit of glutamine is immunity. An article published in the Journal of Nutrition in 2001 suggested that studies have demonstrated that glutamine may be conditionally essential during injury and infection due to the enhancement of function of stimulated immune cells. Once glutamine is synthesized in the muscles, its enters the bloodstream and is transported to the small intestine, liver and cells within the immune system. White blood cells use glutamine to maintain healthy functioning. Studies have shown that glutamine given to patients following bone marrow transplants results in a lower level of infection and hospital stay. Glutamine is known to improve energy and reduce signs of stress. A glutamine deficiency results in the cells becoming sluggish as they’re unable to function correctly. Studies have demonstrated that during time of stress, the levels of glutamine in the body are diminished.3 In turn, this weakens the immune system. By supplementing your glutamine intake, the levels of the amino acid in the body are increased to stabilize the cells within the immune system. Glutamine also aids a better night’s sleep by aiding detoxification the liver and converting ammonia into urea. Ammonia is created by the breakdown of proteins, preventing energy production and leading to a lack of sleep if high ammonia levels accumulate in the brain. By aiding sleep and reducing stress, the body is better equipped for physical and mental performance. Many people consume glutamine supplements for athletic and bodybuilding purposes. Glutamine helps to resynthesize carbohydrates after exercise. After lifting weights, glycogen in the muscles is depleted. The faster this is replaced, the quicker you’ll recover from your workout as many studies have demonstrated. Glutamine can also be effective in fat burning and boosting your metabolism to promote weight loss. In the kidneys, glutamine is converted into glucose without affecting insulin levels. Thus, it helps to boost energy without being stored as fat. For those seeking to consume glutamine via high protein foods, this can aid weight loss as a diet rich in protein and low in fat will help you to lose weight. Furthermore, a study published in the European Journal of Clinical Nutrition, 2014, revealed that a group of overweight women lost weight when supplementing their diet with glutamine for four weeks – no other change in diet or exercise occurred during this time. Oral glutamine has a range of side effects. Common side effects include vomiting, nausea, fainting, muscle or joint pain, swelling in the hands or feet, itching, dry mouth, sweating, runny nose, headache, lethargy, mild rash and back pain. Less common symptoms include flu symptoms, sore throat, mouth sores, difficulty breathing, hives, hearing problems and chest pain. Medical attention should be sought if less common symptoms occur. It is not known whether glutamine is safe during pregnancy or breastfeeding. 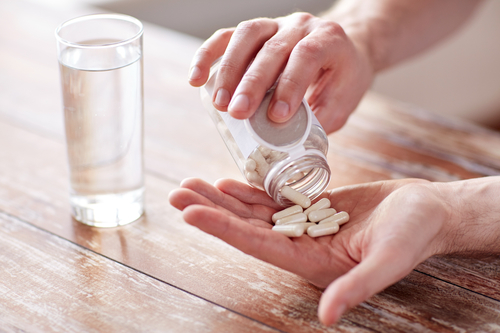 It may also interact with certain medications so medical advice should be sought before consumption of any supplements. Furthermore, glutamine may worsen liver disease or psychiatric disorders. Glutamine can be consumed via varying food sources or supplementation. Foods high in glutamine include meat and poultry, eggs, nuts, dairy, and seafood. It’s also found in many plant based protein foods, such as spinach, parsley and beans. Dr Atkins, founder of the well-known Atkins diet, suggested supplementing with glutamine while restricting carbohydrate consumption in order to protect lean muscle mass. Glutamine can also be converted into glucose, providing an energy source for those who are on a low carbohydrate diet. Glutamine should be taken according to the instructions on the product. However, glutamine oral powder should be consumed with food, while glutamine tablets should be taken at least an hour before a meal. The best time of day to consume glutamine depends on your requirements. If you’re consuming glutamine for athletic or bodybuilding purposes, its ideal to take it 30 minutes before or after exercise to aid the recovery process. Another great time is after waking and before going to bed. This helps to minimize muscle breakdown during sleep. Glutamine has two isomers; l-glutamine and d-glutamine. However, l-glutamine is the most abundant in the body and what is found in the majority of supplements as well as food sources.When many people refer to l-glutamine, they’re essentially referring to glutamine. 1. Anabolic Conditioning (QFAC) Bodybuilding, 1997-2003 by Quest.